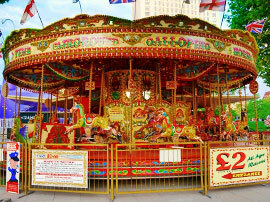 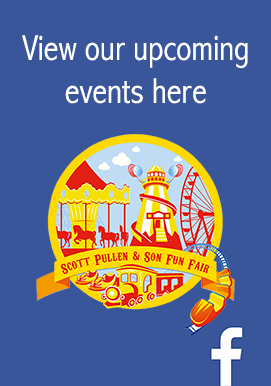 Hop aboard the galloping horses for all the fun of the fair, on this all time classic. 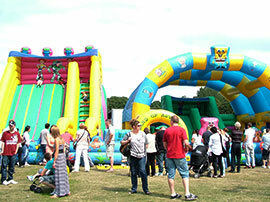 With such a large variety, your kids will love our Bouncy Castle selection. 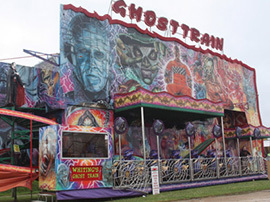 We know what you did last Halloween spooks galore in this terrifyingly wonderful ride. 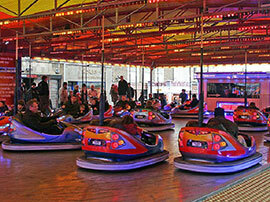 Bumper cars have been popular with generation after generation of families. 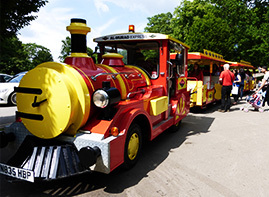 A firm family favourite, ride our Land Train for a fun experience! 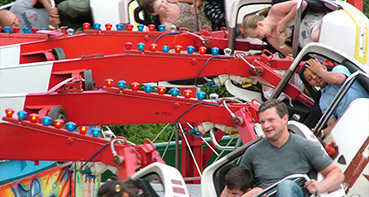 It’s a great way to see the park grounds and more, and everyone is welcome on board making it perfect for all the family.